What’s wrong with this picture? 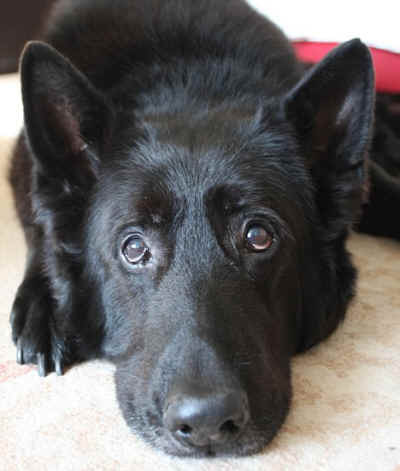 German shepherd dog Berry played Padfoot, the dog who rescues Harry Potter in The Prisoner of Azkaban. Now, $795 million later, Berry has been abandoned at an animal shelter in England. Meanwhile, while actor Daniel Radcliffe dances about on a Broadway stage. Sure, the dog will get a home soon with some nice Muggle. But that’s not the point. Berry was living with Paul Thompson, the stuntman who trained him for the movie. And Thompson said he spends too much time away from home to be able to give Berry the attention he deserves. But it’s likely that part of the reason Thompson is spending so much time away from home is that his dog Berry has made him famous as an animal trainer for the movie world. Regardless, having a pet is a commitment; not just something you do when it’s convenient. 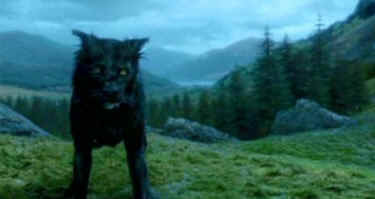 And if Thompson can’t look after Berry, there are lots of people in the Harry Potter business who are very wealthy and could possibly have put themselves out an inch or two to do right by this dog. Incidentally, this is not the first time animals from the Harry Potter movies have been abused. It’s bad enough that this man could treat birds the way he did. But it’s equally bad that the producers and stars of these movies did nothing to step in and take care of the birds. Doubtless, they would have argued that they didn’t know. Well, it’s their business to know! 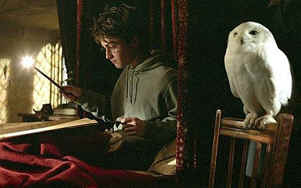 In India, the success of the Potter books and movies, and the popularity of the white owl, Hedwig, caused something of a craze with people wanting white owls of their own. 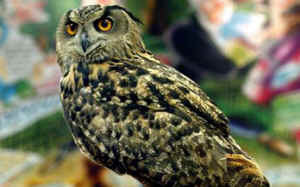 Wildlife groups tried to persuade people not to buy owls. Minister for the Environment Jairam Ramesh tried to help. “India’s wildlife already faces many pressures,” he said. Did those who profited from the popularity of a white owl do anything to help? Not as far as we know.